I’m sorry, but James Cameron held on to the North American theatrical rights for too long. He did not want to dedicate the time required to get this film off the ground sooner than later when news broke way back when. If his reason was to wait for the technology to achieve the look he wanted for this work, he’s definitely pulling a George Lucas! I’m confident director Robert Rodriguez will do what he can to make this film work. His track record with the Spy Kids franchise has me believing he can pull off that digital smorgasbord expected to make the fights work. I am a huge fan of Yukito Kishiro‘s manga and am thankful Kodansha Comics is reprinting the entire run, building up to the release of Mars Chronicle. By the time this film releases, the print run may well be caught up to this “final chapter,” and the question will be in which product will stand the test of time more. The casting of Christoph Waltz is perfect and this actor can do no wrong. But as for how well this story will fare will depend if the audience its trying to attract will love Rosa Salazar in the title role or not. I fear this film will get backlash much like how Ghost in the Shell got trashed. 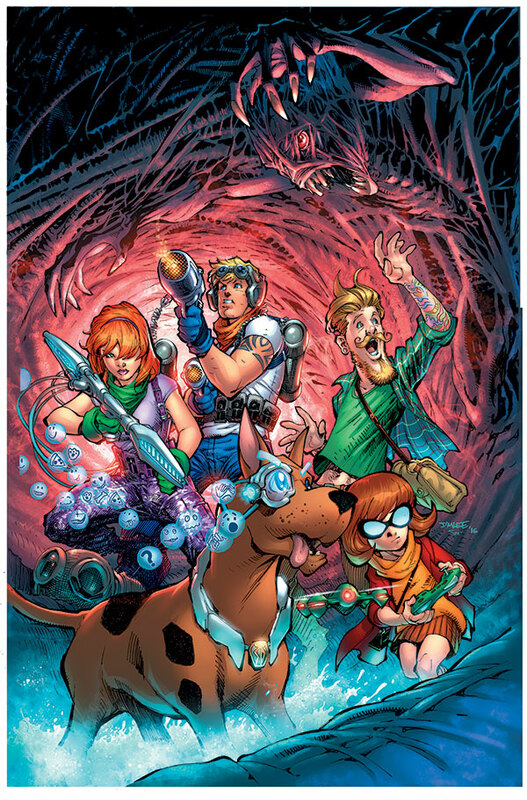 Yes, a live-action reboot of Hanna-Barbera‘s much beloved Scooby-Doo franchise is happening. Not a lot of detail is offered for obvious reasons. The title suggests the canine we all love may well be a laboratory experiment gone wrong. Through mad science, this reboot will explain to audiences how this dog learned how to talk! While I am enjoying DC Comic’s cyberpunk take of these mystery solving sleuths, all I can do is cringe at imagining what the studios want to do. No details have been revealed at all about this film but given how the title’s character name is spelled, it will no doubt be an acronym for this newest version to come alive in some kind of scientific experiment type of sense or even be a robot. The franchise has gone downhill ever since the creative minds behind keeping this franchise alive thought it was hip to put KISS and the WWE into the direct-to-video releases. 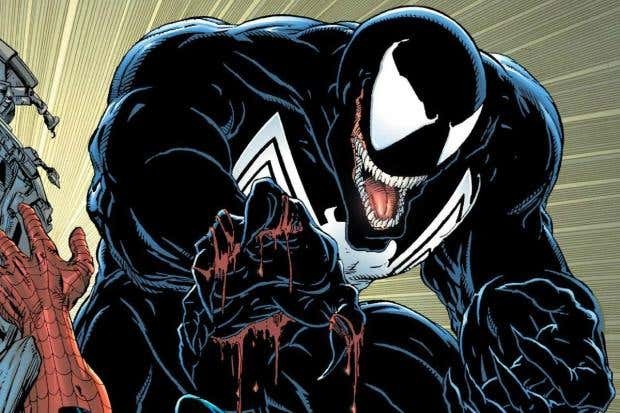 Despite the many comic book masses who love this antihero, I feel this character should simply remain a comic book character — on paper than rendered onto celluloid (okay, digital pixels). Sony Entertainment is certainly struggling to keep ownership of this subset of Marvel Comics best villains. However, I feel they do not have the best interest of what these titles represent at heart to give fans what they want. No matter how hard the production and digital animation team will try, to see this figure in all his gaping glory has never translated well into a live format. Sam Raimi’s third Spider-Man movie is the prime example. Variations of this creature in other “horror” films have shown that if this character is kept in the dark, the look can be terrifying. A horror tale in the vein of Alien is preferred over the happy-go-lucky Spiderman: Homecoming is preferred if this movie is to work. The upcoming New Mutants movie will certainly set the bar if such a direction is best for some comic book works is to be translated to film. Some readers are still waiting for DC Comic’s Vertigo champion The Sandman to happen. The good part of this lamented series of live action Transformers movies is that fans will get to see the classic Volkswagen Beetle which is iconic for this hero. The bad part is that certain key players of this series, namely Michael Bay, is involved as a producer. Stephen Davis and Tom DeSanto rarely get the flak for everything this live version has done harm to. Could Travis Knight, who directed Kubo and the Two Strings, actually offer a homely tale that’s actually not too out there? That will depend on how much conflict there will be on set with him being the show runner versus the producers waving the money to pay for the costs of making this movie and having final say.